The scheduled abolition of the European Union (EU) sugar quota by October 2017 does not necessarily guarantee a low sugar price in the bloc, new research suggests. In its latest report on EU sugar production entitled Even the Sweetest of Dreams May Turn Sour; The EU Sugar Quota Regime Comes to an End, Rabobank analysts say lifting EU export restrictions will make it easier for EU sugar to find its way to the global market, therefore impacting domestic availability. 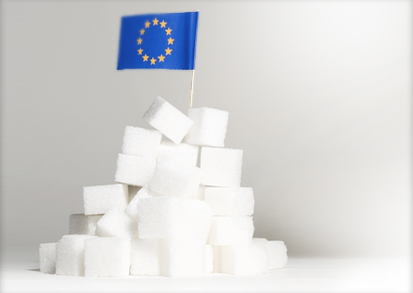 To avoid any unpleasant surprises, the report suggests the EU food & beverage industry consider longer-term contracts or alternative sweeteners. In anticipation of 1 October 2017, after falling more than 40% since 2013, the EU sugar price has dropped to levels on a par with the world price and, recently, even lower, the report notes. The chief reason behind the declining price is increased competition between sugar producers, with the analysts adding that in the post-quota age, such competition will be the new norm. “The general assumption that abolishing the EU sugar quota as of October 2017 will only have positive effects for sugar buyers is too good to be true,” explains Ruud Schers, analyst at Rabobank. The report also highlights that the influence of the world sugar market on the EU market is set to increase considerably. Between 2010 and 2015 sugar has been in oversupply in the world market. However, since last season (2015/16), the balance has shifted with demand outpacing supply. While there is a dream scenario in which the larger supply of EU sugar after 1 October 2017 will lead to a low EU sugar price, it adds, EU buyers should beware of higher prices due to tighter supplies in the bloc.